WASHINGTON, D.C. – U.S. Senator David Perdue (R-GA) spoke with Judy Woodruff on PBS NewsHour and Ari Shapiro on NPR’s All Things Considered about theSecure and Succeed Act, legislation he has co-sponsored that mirrors President Trump’s immigration framework which resolves DACA, strengthens border security, eliminates the visa lottery, and ends extended-family chain migration. Click here to watch the PBS interview or click on the image below. Click here to listen to the NPR interview or click on the image below. WASHINGTON, D.C. – U.S. 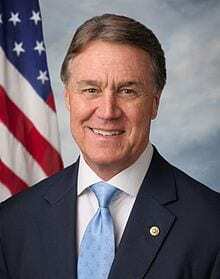 Senator David Perdue (R-GA) joined The Laura Ingraham Show to discuss President Trump’s address at the United Nations General Assembly meeting, health care, and why the RAISE Act should be included in any Congressional solution to fix our country’s immigration problems.